Pregnancy is not a time in life when you have to give up everything you love, but you do have to think about making a few changes during pregnancy if your habits could be harmful to baby. Here are 5 habits you need to leave on the backburner until you’ve given birth and recovered. 5. Extreme Exercise: You may love running sprints for hours and squatting 500 pounds at the local gym, but during pregnancy these exercises are not safe. Some pregnant women run up until the final trimester of pregnancy and many continue lifting lighter weights in the gym, but heavy weights and intense sprinting are not okay. 4. Hanging Out in the Direct Sun: There’s nothing wrong with heading to the beach while pregnant, but keep an umbrella close by. 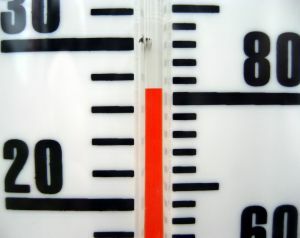 Your body temperature needs to stay in the safe zone to decrease risk of heat stroke. 3. Partying With Friends: Yes, you can go to the party, but you can’t drink at the party. There have been a few whispers about drinking a glass of wine once in a while during pregnancy –but the medical consensus remains the same…no drinking during pregnancy. 2. Friday Night Sushi: It could be Tuesday, Thursday or Sunday – no matter the day of the week, skip the sushi until baby is born. You certainly don’t want to risk your baby’s health for a touch of raw fish. Not even cucumber and avocado rolls are safe because of the risk of cross contamination. 1. Outdoor Parties in the Summer: Keep the parties indoors during summer months. Reports of West Nile Virus have increased in states like North Carolina and keeping the mosquitos away is a nearly impossible task. If you are going to be outside in the evening or night, use all-natural, safe mosquito spray and wear long sleeves and long pants. You can never be too safe when it comes to having a healthy pregnancy. Skipping a few of those normal life activities while pregnant is not too much to ask when you’re protecting your little one. Previous: Should I Buy Meat at the Local Butcher?